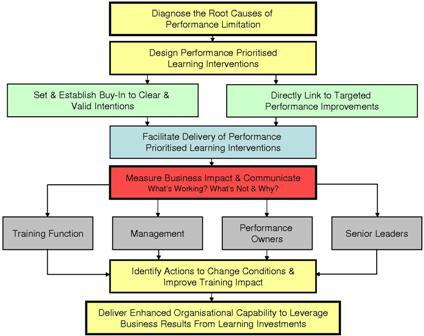 "If you don't focus specifically on measurable performance improvements, you will never be able to demonstrate a positive return on investment"
Organisations that have a weak track record of delivering a Positive ROI from previous change investments have failed to bridge the gap between INTERVENTION and BUSINESS IMPACT. Why? Because most initiatives are born from a desire to address an apparent symptom of under-performance and the benefit of actually doing so is treated as an after-thought, often only considered once the intervention has been delivered. We believe every change initiative should be born from answering the most critical question - How can we measurably improve our performance and by how much? We deliver our help client organisations to quickly identify a minimum of £500K of cashable, measurable improvements that can be realised within the next 12 months. 3 Coordinates Programme to help client organisations to quickly identify a minimum of £750K of cashable, measurable improvements that can be realised within the next 12 months. Performance priorities are immediately established with the senior management team and then a fixed cost F1 Performance Programme is established that WE GUARANTEE will deliver a POSITIVE ROI in excess of 500% inside 12 months or we will offer you your money back. 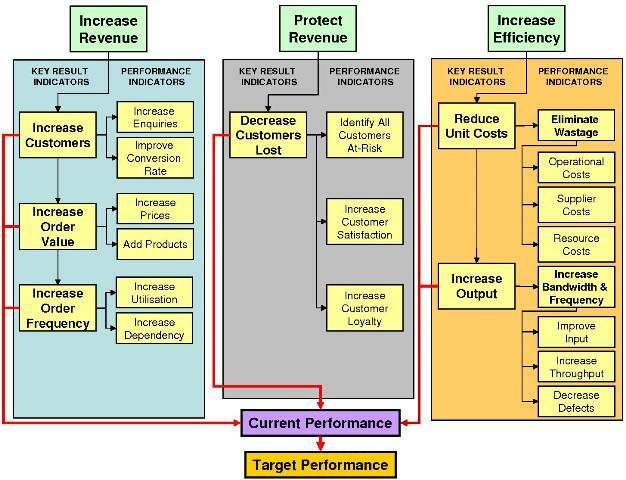 Our formula for success is a simple yet remarkably effective one that delivers real, measurable performance improvements where you need it most. Would you like to be in a position where you don't have to defend your training and development budget against potential cuts? You just need to change your emphasis from evaluating the quality of the training and development to evaluating the impact of your training and development. 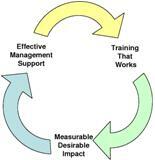 Training and development has no value until it is applied successfully! This research highlights the critical need to strengthen the bond between HR/Training and Business Management if every future intervention is to be deemed as a valuable success. 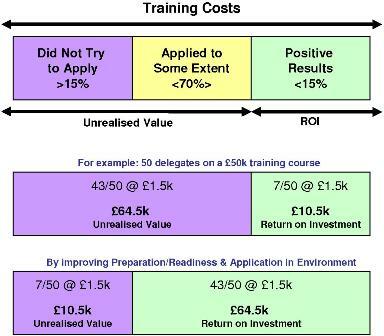 Our research shows that the critical point of focus must be to ensure that the majority of delegates/participants change their Focus, Mindset & Behaviours to positively impact performance as a direct result of each intervention and in so doing generate a positive return on investment from each training and development investment. 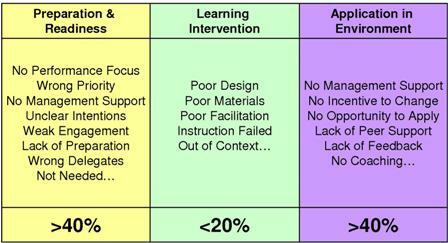 The chart below highlights this need and shows how much value can be 'left on the table' if this approach is not applied effectively. What has not been applied? To build a successful Positive ROI case you accurately diagnose your performance needs. To find out more click this link.